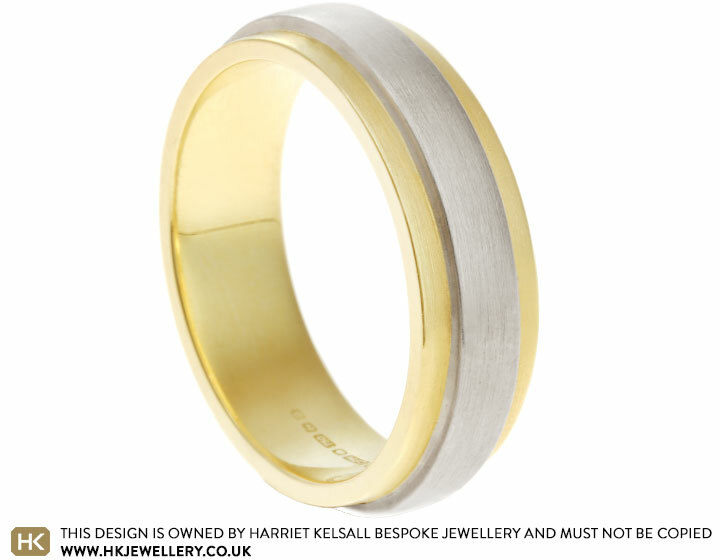 This 18 carat yellow gold man’s wedding ring has an overlay of 18 carat white gold on top of the band. The band measures 6mm wide with a flat profile and a satinised finish. The 18 carat white gold section has not been rhodium plated. Size Q 1/2 (approx US size 8 3/4). This ring can be resized within approx 2-3 sizes or please enquire if a further resize is required.